Last week, my family had the pleasure to host three girls from Narita, Japan, as part of our sister city cultural exchange program. We first took part in this exchange in 2013, when our older daughter was selected to be part of our city's delegation to go to Japan. Delegates families are encouraged to host the delegates coming from Japan, and we did that two years ago. We greatly enjoyed the experience, so when it came time for our youngest daughter to see if she could participate, we of course said yes, and thus, we welcomed three young women a long way from their homes into our home. These girls did not know each other well prior to this trip. Unlike our city, which has one Intermediate school within its city limits, Narita has several schools represented, and the delegates chosen typically do not have hosting assignments with students from their school. Therefore, it was not just a learning experience for the girls to relate to us, but to each other. On Friday, as I was getting ready to take my eldest daughter to her school, one of the girls came downstairs with some prepackaged single serving rice packets. She motioned to me in the English that she could that she wanted to cook the rice. I figured "OK, sure, I'd be happy to do that for you", and did so. After it was cooked, I opened the small container, put it in a bowl, and then asked her if she wanted a fork or chop sticks. She looked at me quizzically for a moment, and then she said "chop sticks". I handed her the chop sticks, and figured "OK, the girls want to have rice as part of their breakfast. No problem." I then lined up the other packets, explained to Christina how to cook them in the microwave (40 seconds seems fine with our power microwave), and then went to take my daughter to school. The rest of this story comes courtesy of texts and after the fact revelation ;). While I was out and Christina was helping get the rest of the packets of rice prepared, she pulled out a few bowls and put the rice in the bowls, with a few more chop sticks and placed them on the table for the girls. The young lady who had come down to make the request then said "no, this is for you". Christina smiled, said thank you, and then started to eat the rice from one of the bowls. What she noticed after a few bits was that the girl was staring at her, frozen in place, and looking very concerned. At this point, Christina stopped, put down the bowl, and asked if everything was OK. Our Japanese exchange student tried to grasp for the words to explain what she wanted to say, and as this was happening, another of the exchange students, who was much more fluent in English, saw what was happening. "Oh, this rice is for a breakfast dish we planned to make for you. 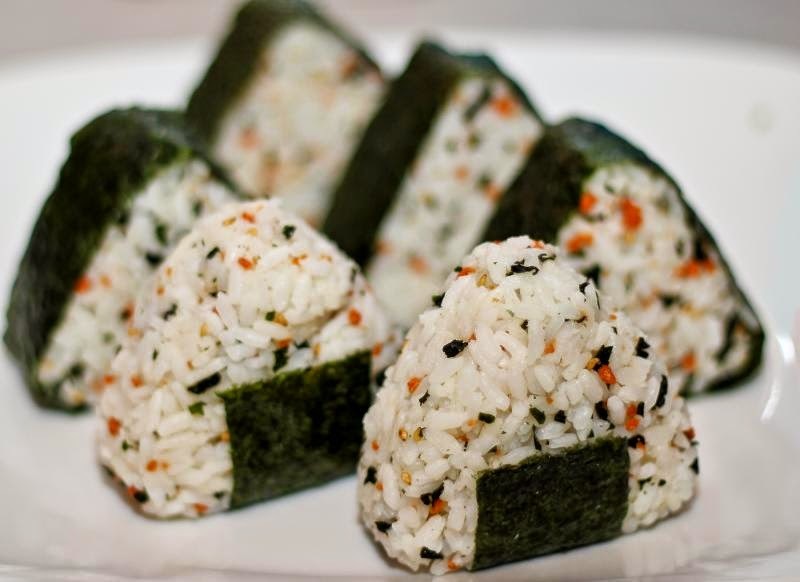 Each of the packages has enough rice to make one Onigiri (which is to say, rice ball, a popular food item in Japan). At this, Christina realized what had happened, and texted me what she did. She felt mortified, but I assured her it was OK, and I'd happily split mine with her to make up for it. With that, we were able to work out the details of what they wanted and needed from us so that they could make the Onigiri for us (which they did, and which was delicious, I might add!). I smiled a little bit at this because I have felt this situation a few times in my career, although it wasn't trying to communicate from English to Japanese and back. Instead, I've had moment like this where I've had to explain software testing concepts to programmers or others in the organization, and they have tried to explain their processes to me. It's very likely that I may have had more than a few moments of my own where I must have stood there, paralyzed and watching things happen, where I wanted to say "no, stop, don't do that, I need to explain more" but felt like the world was whizzing past me. As my wife explained the situation, i couldn't help but feel for both of them. Fortunately, in this case, all it meant was one fewer rice balls. In programming and testing, these mis-communications or mis-understandings are often where things can go ridiculously sideways, albeit usually not in an amusing way. The Larsen Onigiri Incident, I'm sure, will become a story of humor on both sides of the Pacific for the participants. It's a good reminder to make sure, up front, that I understand what others in my organization are thinking before we start doing.